Are you ready for some Yin? Yin Yoga, that is…and the “Yin” is ready to stretch the HECK out of those tired muscles, tendons, ligaments and fascia. What is Yin Yoga? Let’s turn to our friends at Wikipedia for the definition. Are you ready to dig deep and make some profound flexibility changes? Click the video below and leave a comment on YouTube. Thanks! If this routine hit all ht right spots you must take my 7 Day Flexibility Challenge! 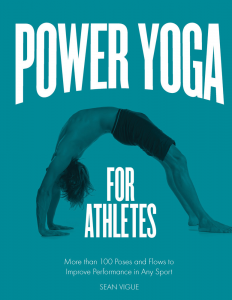 Grab the yoga book that started it all! Click the photo below and dive in today. Loved this yin class . I know how the deep stretch works . I am also drunk after this slow flow . Haaaaaa . Feeling fab . Time for yard work . 🙂 Thank you Sean .